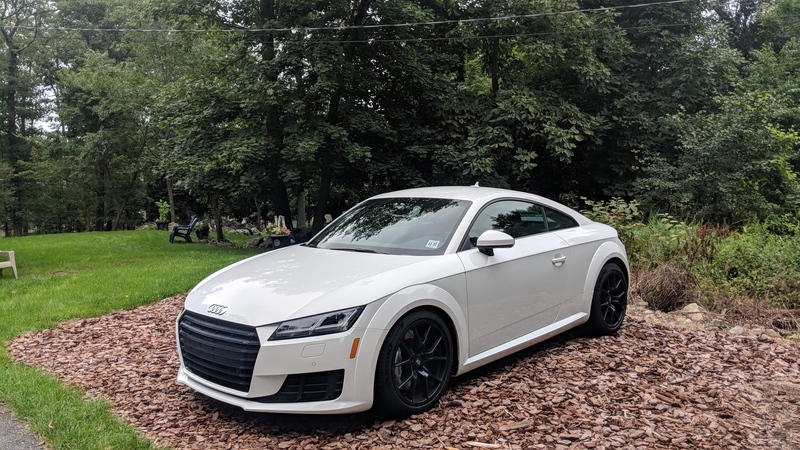 I love my 14 GTs seats, wouldn't buy a VW/Audi product with someone else's money and yes under 36 for AWD GTR- 38 is for signature- but hey different strokes- 42+ for a nicely equipped Q3..pass- nice TT tho- but I'd still take a manual (yes significantly slower) BRZ and buy half a new CX-5 w/the savings...again diff strokes. Last edited by Monterra; 11-06-2018 at 06:39 PM. Where these small 4 cyl turbos fail is waiting for the turbo to spool on a track mid corner exit.... The numbers don*t mean anything to me. How the turbo does it*s thing is what is important. This is the key for me with turbos. Lag ruins the driving experience, no matter how you drive it. The numbers mean plenty to me, but they're not everything. No point speculating about it. We've got to drive it. You want a 7 seat family SUV to hammer launches? The 2.5T in the Mazda 6 and CX-9 has no discernible turbo lag. Just smooth power. Too smooth for some but that is what it has. It will feel pretty similar in the CX-5. Without getting into the nitty-gritty; I've owned several turbo cars over the years, including a '16 CX-9 with the 2.5 turbo. I liked the CX-9s power delivery enough that I'm voting with my wallet. I've reserved one of the first CX-5 Signatures scheduled to arrive at my dealership the first week in December. Just like with the Audi/VW products, there is tuning available for the 2.5 turbos as well. I’m sticking with my QX70 as long as I can. Then it’s Stelvio time. Woot woot! You should have posted this in the CX-9 forum. And where are the driver "reviews" for the CX-5 w/turbo? I*m sticking with my QX70 as long as I can. Then it*s Stelvio time. Woot woot! I got no issues w/that choice suds buddy ..visibility was about my only gripe (ok dash quality/layout not great but the way that thing drives- who cares) Well also a bit a reliability fear not gonna lie..and dlr ain't close! Last edited by Monterra; 11-06-2018 at 07:44 PM. Ideally this will be in about 7 years. I expect them to have the quality issues resolved and for the interior to be upgraded from some of the cheapness that’s been noted. All of this is providing they’re still being sold in the US. Closest dealer is about a 30 mile drive from me right now. Cool- hey I'm pulling for them truly engaging and fun to drive vehicles- all of them even in base form..sport pkg is baked in which is exceedingly rare in mainstream-ish options today. If they offered a RWD manual Giulia I don't think I could possibly resist it..
Last edited by Monterra; 11-06-2018 at 10:01 PM. Ideally this will be in about 7 years. I expect them to have the quality issues resolved and for the interior to be upgraded from some of the cheapness that*s been noted. All of this is providing they*re still being sold in the US. Closest dealer is about a 30 mile drive from me right now. Alfa has not sorted their quality issues in the last 70 years! I have a JB4 piggy back on the TT. It adds 45whp and about 60 torques. I bought the car used with a CPO 100k warranty so I*m not tuning it until 2022. APR would do about 40% better but I won*t void my warranty. Same holds with a turbo cx5, won*t risk the warranty. The Q3 is appealing because the same JB4 I use on the TT translates to the Audi. Magazines are guessing 6.3 to 60, the JB4 would be sub 6 seconds. When it needs to go to the dealer, I simply remove it and it leaves no trace. With the JB4, I can hang with manual Golf Rs and closely follow real TTS*s.
Last edited by ourlee; 11-06-2018 at 11:42 PM. Drove the Stelio small turbo version. This is a GREAT example of what*s possible in an affordable 4 banger turbo. It*s a blast. Last edited by ourlee; 11-10-2018 at 11:19 PM. My 4 cylinder non-turbo would light 'em up if it were the Fail Wheel Drive model. I think it's pathetic if the CX5T won't see low 6-second to 60 times. Absolute trash, that. It will be interesting how it plays out. The one thing that impresses me with the German and Italian cars is the amount of performance built into cars and then seemed to be tuned down on the lower trims so they do not outshine the expensive trims. For instance a coworker flashed the DSG tune on his GTI last week on a Cobb AccessPort. His 17 GTI SE was out the door at $24K (added $3K with Cobb AccessPort 91 and DSG, lowered, down pipe, air intake) and if it were not for tire slip it would be performing at the $40K Golf R level. He says the DSG tune eliminated some of the gripes that people have about dual clutch and it now shifts in regular drive mode about as well as it does in manual mode using the paddle shifters (manual mode is even more aggressive). His GTI is dyno'd over 300 whp and is in the low 5 second 0-60 range. If it were not for tire slip 1st/2nd gears he would be low 4 probably. Several have mentioned the AR Stelvio and it also has a lower trim at $42K, but I bet for cheap one can really raise the performance of that base model with tuning and not spend the $80K on the upper level beast. But as I think you noted on the 2019 thread Mazda will likely be limited by the transmission, whereas, the dual clutch on some of the European cars can be tuned as well. What I find interesting is Hyundai / Kia brought on German engineers to add performance to their line up. I know it is early, but it shows that this Korean car company ain't messing around and have intentions to have some cars in the future that will be in line with the European performance cars. The Stinger, Veloster and Genesis is probably just a very early glimpse. Again it is just casual car news conversation in my post, but I do like how European base models can be easily/cheaply modded as they seem to have tuned down performance on the lower trims.